Travel Umbrella Windproof Double Canopy Vented Windproof, Waterproof Auto Open/close Umbrellas，Extra Large Oversize Travel Umbrella,Double Layer Anti-UV Umbrella. Extreame Savings Item! Save 49% on the Travel Umbrella Windproof Double Canopy Vented Windproof, Waterproof Auto Open/close Umbrellas，Extra Large Oversize Travel Umbrella,Double Layer Anti-UV Umbrella. by XDSheng at Average Adventures. Hurry! Limited time offer. Offer valid only while supplies last. AUTOMATIC,SUPER FAST AUTO OPEN AND CLOSE:Auto open/close function ,Super easy and convenient one-handed operation. Easily opens in one second with the push a button to protect you from the unexpected rain. DOUBLE LAYER umbrella,COMPACT, AND LIGHTWEIGHT,always easy to cary& lightweight black travel umbrella for men and women. Anytime you can keep the light umbrella in your purse, briefcase, backpack, or luggage. 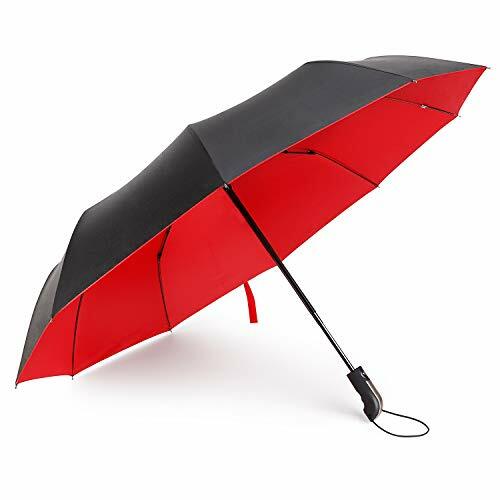 The umbrella weighs less than 1 pound and measures just 11" inches. HIGH QUALITY CANOPY CONSTRUCTION - Waterproof & quick dry technology keeps you dry all the time.High density waterproof fabric,double umbrella sun-rain umbrella can be used in sunny day and rainy day.The top layer of fabric has the function of ultraviolet radiation to prevent sunburn. If you have any questions about this product by XDSheng, contact us by completing and submitting the form below. If you are looking for a specif part number, please include it with your message.